MPs are back from their summer holidays and demanding to know the government’s negotiating position on Brexit. 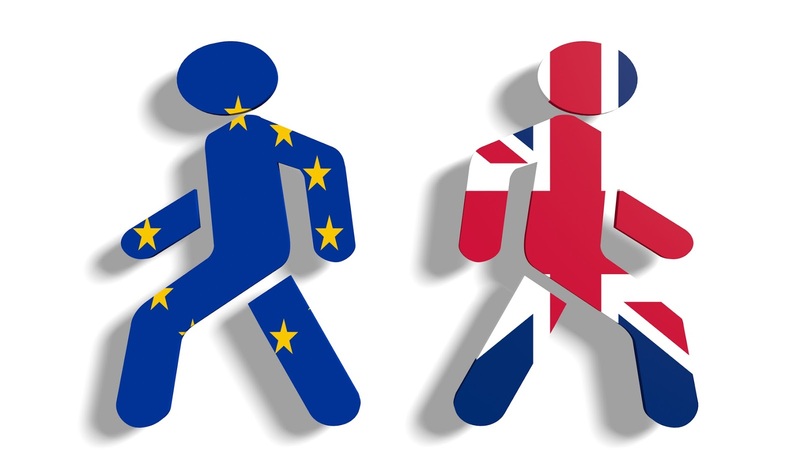 Will the UK remain in the European single market? What special deal might be struck for the banking sector? The Prime Minister refuses to say, arguing that a successful negotiator does not reveal her hand. This response at least has the merit of acknowledging that the terms of Brexit have to be negotiated with counterparts who have their own preferences and constraints about a deal. Not acknowledged, however, is that the UK’s bargaining position is weak: the hand contains few cards of value. Once the clock is started, the UK faces the prospect in two years’ time of defaulting to World Trade Organisation (WTO) rules and bilateral agreements. This default position is dreadful for the UK, so a deal must be struck with EU partners. Any agreement must satisfy conditions at two levels: other states have to sign up to it, and the public at home have to accept it. There is a well-known theory that a government going into negotiations under tight domestic constraints will get a better deal from its fellows than a government with a free domestic hand. This suggests that the UK government can firmly insist on restraints on free movement of people in its negotiations with the rest of the EU, as its hands are tied domestically. Other governments will have to give way if an agreement is to be reached. Unfortunately, this logic is by no means impermeable. There are several strands to the negotiations. The UK has tied its hands on one: it is open to the counterparts to extract a high price on others. The highest price of all would be to exclude the UK from the European single market. Brexiteers have dismissed this prospect by pointing out that other countries want to trade with the UK, and so surely have reasons to strike deals. An often-repeated argument makes a virtue of the UK’s trade deficit: other countries sell more to the UK than the UK sells to them, and surely they want this situation to continue. For contemporary trade analysts, this mercantilist theory is bizarre, but it is so often repeated that it is worth taking seriously, at least for the purposes of this commentary. Let’s start with the small kernel of truth in the argument. There are exporters in other countries for whom the UK is an important market, and they will lobby their governments to keep it that way. The UK market is very important to Irish exporters, although Ireland is hardly a powerhouse in the EU. German carmakers have also signalled their concerns, and they have a voice in Berlin. This might be helpful to the UK. Sectoral interests are important in trade negotiations, but they do not add up like a trade balance. Indeed, the political weakness of domestic manufacturing has a detrimental effect on the UK’s bargaining position. If there was a significant domestic import-substituting industry that would benefit from protection, it would lobby for increased tariffs, and other countries might calculate that concessions needed to be made to fend off the threat. But there is no serious threat of large-scale tariff imposition by the UK. The fate of the steel industry tells us just how weakly domestic producers are placed. The Cameron government was a leading player in blocking a 2013 EU initiative to combat Chinese steel dumping, preferring instead to cultivate its relationship with China. In any case, industrial tariffs are so twentieth-century. Consider the case of the car industry. No UK car producer seriously proposes that the domestic industry would thrive behind tariff barriers. This sector, doing better than ever now in the UK, has grown with the advent of international value chains, whereby industries develop through their integration into world markets, not their separation from them. The trade economist Richard Baldwin has documented how, throughout the world, governments have recognised the redundancy of the ‘made here, sold there’ model of industrial trade. Instead of trying to promote import-substituting industries with tariff protection, they have lowered tariffs to make themselves attractive bases in production networks. In the postwar years, the GATT was needed to begin the drive to lower tariffs through reciprocal agreements, but in recent years developing countries have joined the movement with unilateral reductions in tariffs on industrial trade. Low tariffs on industrial trade are the easy part: the shallow waters of trade negotiations. All the action now is in so-called ‘deep’ agreements, which support integrated production networks by facilitating cross-border capital flows, protecting intellectual property rights, and enabling free trade in services and free movement of people. Deep agreements contain the problematic elements that progressive opponents of the Transatlantic Trade and Investment Partnership (TTIP) have highlighted, such as protection for international investors against ‘expropriation’ by host governments and expansive interpretations of the coverage of intellectual property rights. Deep agreements are also problematic for Brexiteers. The UK has a large deficit in goods trade but a surplus in services. It follows, on the Brexiteers’ own logic, that the UK’s trading partners will do well enough from a shallow deal; it is the UK that needs deep agreements to promote its services sector and facilitate the inward investment that finances the trade deficit. This introduces elements which are anathema to Brexiteers. Free trade in services and liberalised migration regimes have proved to be closely linked. Service providers are also in global value chains where ideal locations not only have low tariffs but also easy access to specialised workers, transferred in from around the world. The EU’s single market is the leading instance in the world of a regional deep agreement. Others, like NAFTA, Mercosur in South America and the South African Customs Union, endeavour to emulate some of its features. The United States has sought to make deep agreements through ‘mega-regional’ agreements in the Atlantic (TTIP) and the Pacific (TPP). So far, China and India are not members, and the hopes of Brexiteers rest heavily on the ability of the UK to conclude bilateral deals with these countries. Compared with an EU-China or EU-India negotiating process, the UK can be fleet-footed, or so the optimists believe. The Foreign Office has briefed that it is studying the first free trade deal with a developed country to be struck with China, negotiated by New Zealand in 2008. New Zealand has had to maintain high expertise in trade negotiations, as agriculture has remained immune to the global tendency to reduce trade barriers noted by Baldwin. The suggestion that New Zealand, along with Australia and Canada, might lend trade negotiators to the UK had a whiff of urban myth about it, but has been confirmed in an official press release. There are lessons to be learned from the New Zealand experience. Mega-regional agreements are highly formalised and legalised, with judicial institutions for settling disputes and secretariats to coordinate multiple country positions. Bilateral agreements stay in the world of intergovernmental diplomacy. Deals are often delicate and risky. The mood can change on a whim, and there are no promises that transactions will always be above-board. This is the relationship that the UK government will exchange for the tedious regularity of the European single market, where legal processes have often been used to secure British interests. And it seeks to make this exchange at a point when China’s growth has slowed and its industry is burdened by overcapacity, greatly increasing the risk of dumping. Returning to the Brexiteers’ misguided optimism about the UK’s current account deficit one last time: a deficit has to be financed with a capital inflow. In a turnaround from the days of Empire when the savings of the middle classes flowed out to investments in the colonies, the UK is now a vassal state in its search for capital. George Osborne knew that money could be found in China, and put a huge effort into negotiating inward investment. The essence of investment negotiations is that the receiving country makes promises to investors about the safety of their funds in the face of future government policy changes: in other words, it concedes sovereignty to encourage investment. We know very little about the promises that have been made to China – the doors are closed more tightly than in any negotiations involving the EU. The delay of Hinkley Point raised hopes that May’s government would be brave enough to step back, but these have been dashed. Yes, our own government is in charge, but it has the sovereignty of a peripheral, not an imperial, power.